How much can you say about a kitchen sink? As I found out, quite a lot! In this updated long-term review of the Blanco Silgranit II granite composite sink, I hope to share with you how satisfied we have become with our purchase. I also want to share where you can find some of the best prices. While planning an extensive kitchen remodel, I knew that we were going to replace our sink. When the search started, I had no idea that there were so many choices. I mean, a sink is a sink, right? However, after some initial research of reviews and recommendations from family and friends, we decided on a Silgranit II granite sink by Blanco. I must admit that after two years, I am still very impressed with our selection. When I installed it, I had no idea how much value, practicality, and beauty a good sink would add to our kitchen. The Silgranit II is a composite sink manufactured from 80 percent granite and cast in a single pouring. Unlike natural granite, granite composite is not porous. That means it resists stains, is safe for all foods and, according to Blanco, is fully hygienic. It’s also much lighter than the typical cast iron porcelain sink, which means you can undermount it as well. 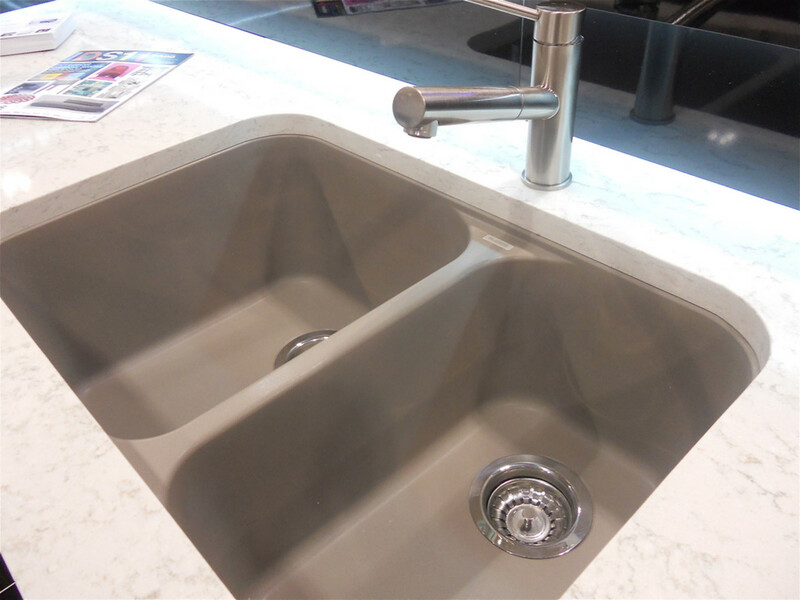 Other features of this sink are that it is resistant to alkalis and acids as well as scratches and chips. I learned the latter firsthand when I accidentally dropped a 10lb cast iron cooking grate from my soapy hands onto the center divider! Another feature that I found surprising is that the sink has a soft feel to the touch. What about heat, you ask? Well, these sinks are heat resistant up to 536 degrees Fahrenheit. That means you can dump your big boiling pots of water from cooking pasta into the sink without any worries. I do it all the time. During my research, I started to find an unwarranted opinion that granite sinks have a tendency to crack when doing this. After quite a bit of investigation, I could only find one person who actually reported this happening, and it wasn’t a Silgranite II sink. In fact, Blanco gives you a lifetime warranty. They are lighter than porcelain, which allows your to undermount them. They are resistant to chipping and scratching. They do not clang when hit with pots and pans. They can handle high temperatures. Below, I will go more in detail. 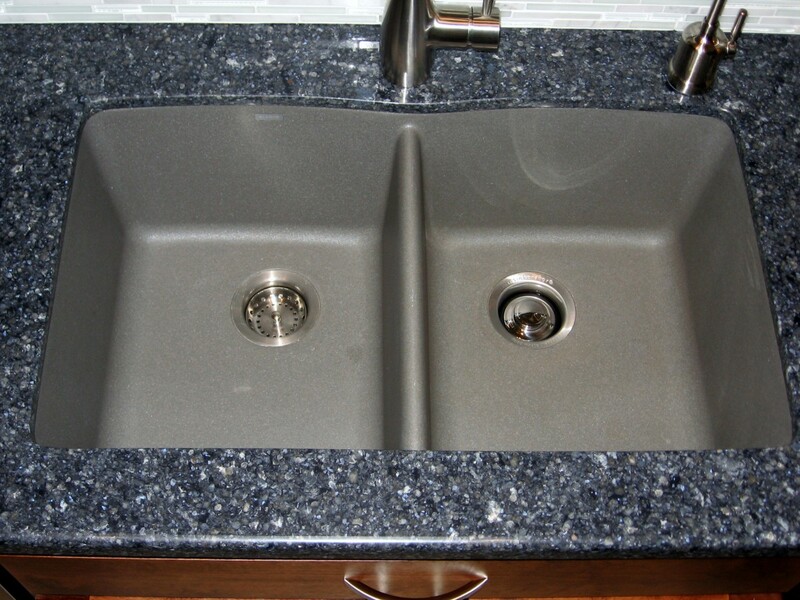 Are Granite Sinks Are Hard to Keep Clean? No, they are not! These sinks are unbelievably easy to keep clean and looking like new. They don’t leave watermarks, scratches, or spots like stainless sinks might, and there are no black marks to constantly be rubbing out as there are with porcelain ceramics. A little dish soap and a sponge is all it takes for a quick clean-up. Two members of my family have the white-and-biscuit-colored sinks that will occasionally get a black mark from dark-colored pots rubbed hard on the sink. They report that the marks come right off with the scrubby side of a sponge. If for some reason you have neglected regular maintenance or have particularly hard water that has lightened the look of the darker colored sinks, Bar Keeper’s Friend and a little mineral oil bring out a brand-new luster. Will Granite Go With My Kitchen Décor? Yes, that’s one of the best parts about choosing these sinks. Unlike stainless and most ceramic sinks, they come in seven different fashion-conscious colors and 23 different shapes. You can choose to accent your countertop with a contrasting color or blend in with a less-conspicuous choice. They are available in either the classic drop-in or stylish undermount configurations. So, How Do I Like My Sink? The sink we chose was the undermount Diamond Equal Double in metallic gray. Since our countertop is a darker, grayish-blue quartz, this color provided a lighter accent of the same color tone. 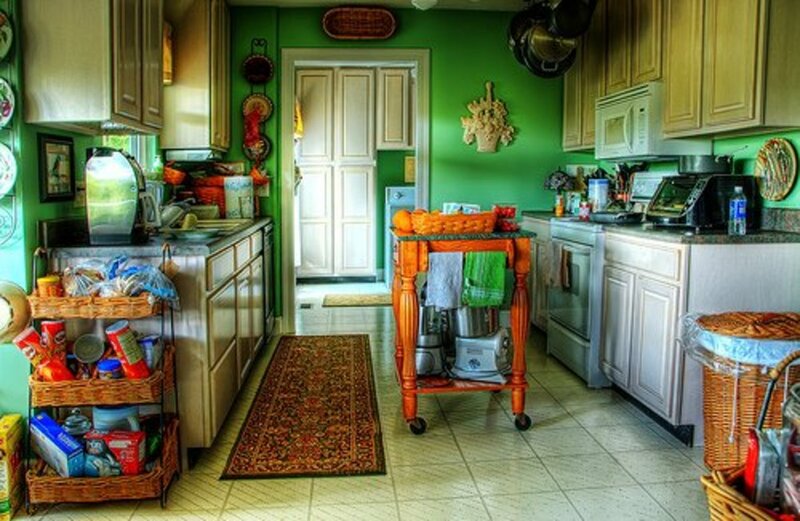 It also goes extremely well with the stainless faucets and décor we have around the kitchen. 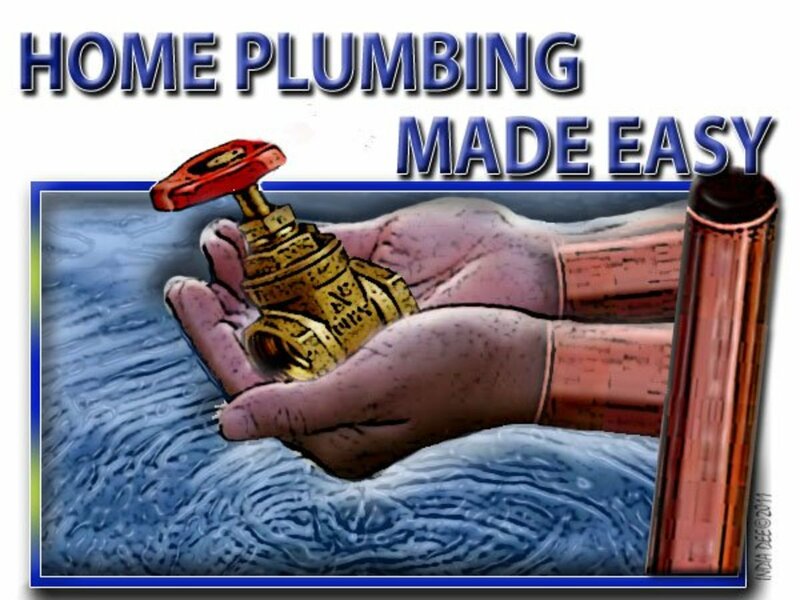 Keep in mind that when ordering, drain flanges and strainers are not included. They can be ordered separately or purchased at any local hardware store. The first thing that stood out was the depth of these sinks. Most are two to three inches deeper than your standard sink, which I love. It makes it so much easier to handle and wash big pots and pans without splashing water all over the place. One note: Make sure to account for this additional depth in the sink when it comes to installation. 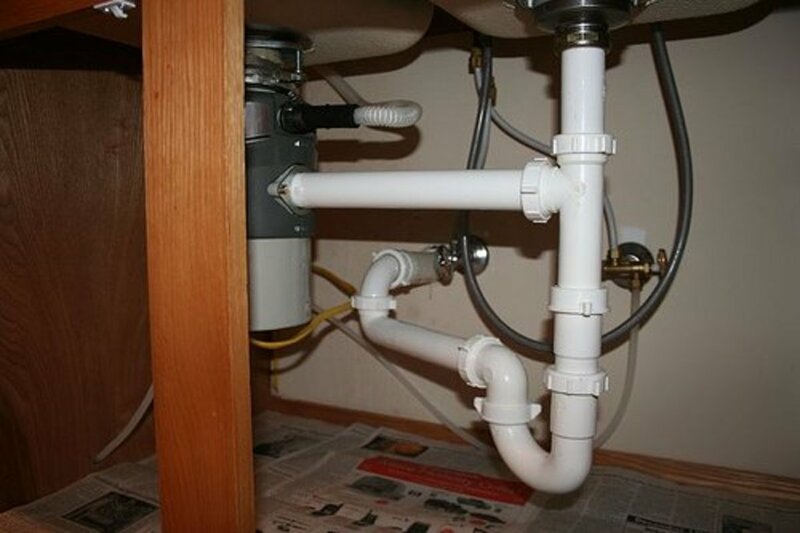 It might require a slight redesign in the plumbing underneath so that your garbage disposal and trap are aligned properly with the house drain pipe. The other benefit I noticed with granite composite was that water kept its temperature much longer than a stainless sink. It’s also much quieter. There is no more of the hollow-sounding banging around of pots and pans. The most attractive part of this sink is how I usually clean up afterwards: Just rinse and go! Living in Southern California, we have extremely hard water. I’m amazed that after two years now of mostly light cleaning we haven’t had to scrub out any hard water spots. As I said earlier, I wanted to share with you where you can find the best prices for the Silgranit II kitchen sink. After we did a lot of shopping around and visited participating dealers in our area, we found that we were consistently finding the best prices for various models on Amazon and E-Bay. Amazon prices are so low that they are restricted from posting advertised prices until you click onto their site. However, this doesn't mean that you can't find a better price for the Blanco Silgranit II in your area if you have time to wait for a special promotion from a local dealer. My brother actually saved money when he found a dealer in his area that offered a free installation with the purchase of the sink. The sink itself didn't have a particularly low price, but the combined savings of the sink and installation was a deal he could not pass up. I really like our Blanco Silgranit II kitchen sink and would highly recommend it to anyone looking for a new replacement. Admittedly, they are more expensive than most quality stainless and porcelain models, but the price is well worth the difference. If you want a sink that is beautiful as well as extremely functional and easy to keep clean, then the Blanco Silgranit II may be the sink you have been looking for. We put in a Blanco granite sink last January. We bought ours from Lowe’s. We already have three chips! We have the dark grey and the chips show white. This is very disappointing. Even if Blanco gives a lifetime warranty can our sink be replaced without damaging our quartz countertops? Yes, you should be able to replace it without damaging your quartz counter top, particularly if it's an under mount sink. Can you rinse hair dye out in the sink? I would suggest contacting Blanco to find out. We have rinsed latex paint from brushes and rollers in the sink without issue, however, dye is completely different. Does the sink come in more than one size? Yes it does! I suggest you visit the Blanco website to review the sizes and options. Our siligranite sink just cracked a couple days ago from draining pasta. We used to do it all the time, but like anything else, things work until they don't. Ours was about 10 years old. That's all anything seems to last these days. I have had my sink for 6 years .The best purchase ever .comet cleans it up great with a lil elbow grease.lol.It's a beige color. I've had my (Anthracite) Blanco Silgranit for 5 years. After a year, it developed a really unattractive faded/white area in the middle which seems to be getting larger. I've been scrupulous about using correct cleaning products and not putting hot pans into the sink. I purchased this sink through a well-regarded kitchen supplier in Portland. 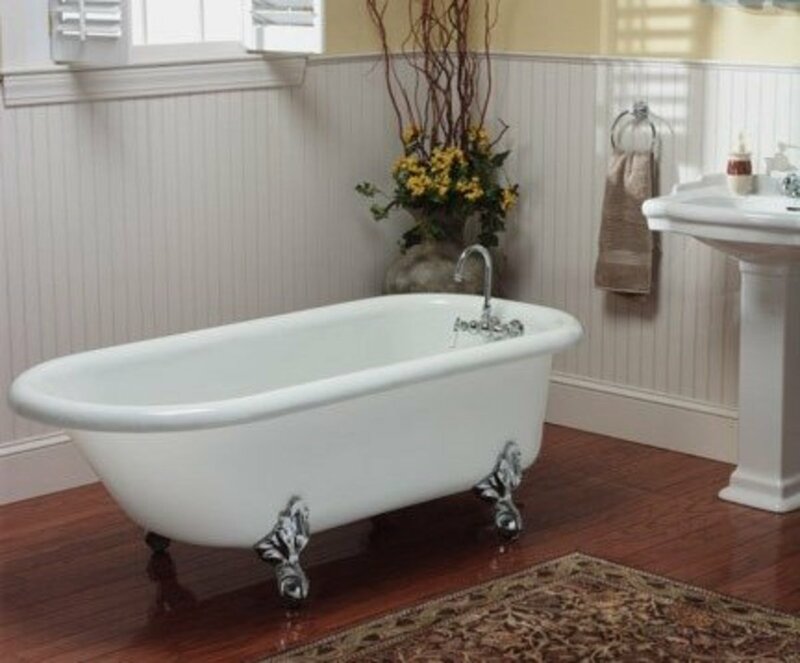 (I mention that, because I've heard that the Blanco sinks sold on amazon and at Home Depot are of different quality, but I don't know whether that is correct.) I wouldn't recommend that anyone purchase this sink. It looks beat up after a short time and even trying the mineral oil trick to revive it doesn't work. I'll be replacing it with stainless steel. 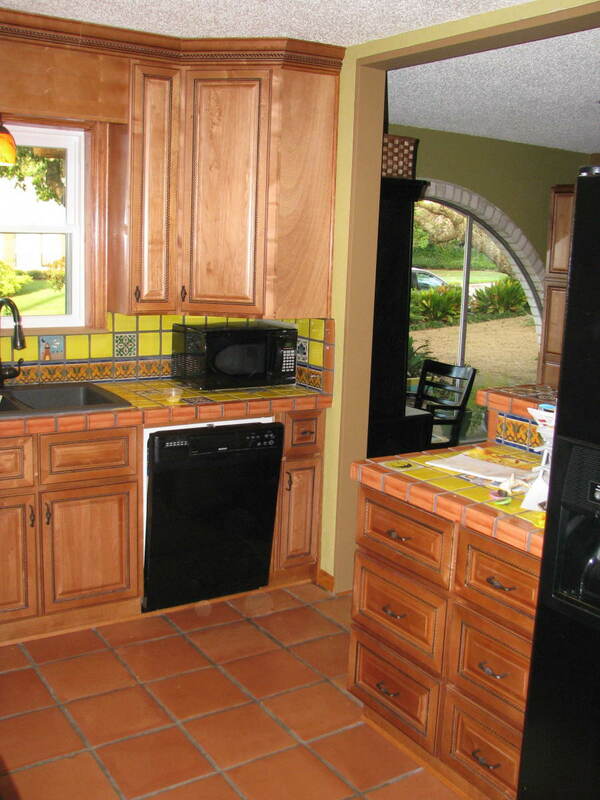 Sad, because the original color looked amazing with my counters. I have a Blanco granite (anthracite) kitchen sink that I bought five years ago. It has discoloured horribly. I bought their special cleaner, and it did nothing. Although Blanco says it has a life time warranty, you have to have the original box it came in and the receipt, and they will not install the replacement. So good-bye Blanco. Never again. I owned a white Blanco silgranite for years with no problems. LOVED this sink so much that I ordered another for our granite countertop renovation. It now has two cracks toward the top of the sink. Waiting to hear from Blanco. Hoping to get a new one! This is the worst remodel purchase I have ever made. It does not clean even the simplest kitchen use. I also have friends with the same experience. I have tired the recommended cleaners and the entire product is absolutely a disaster. I live alone and have no more than rinsing dishes in the sink. I cannot say it LOUD enough do not by this product. Just had the same issue as Mike, drained pasta water and heard a loud pop and now have a huge crack in our sink. Interesting that you mention that, Mike. We do this all the time without issue. I do think there has always been hot water running in the sink beforehand though from cleaning dishes as we cook. Never poor boiling water from pasta noodles in this sink it will crack it. My white blanco stains easily,is hard to clean and has a chip in it.. is there any sealer? Any ideas? I only use barkeepers and are very careful avoiding stains. We have found that BonAmi or Bar Keepers Friend along with a soft scrub sponge works well at removing marks, rings, and etc. If that doesn't work, I would suggest contacting Blanco to see what they recommend. Hi I have a Blanco Granite sink and have noticed white ring marks on the bottom of the sink. Looks like ring marks from saucepans but this was not supposed to happen. Any idea how to shift the marks or what the lifetime guarantee covers? I have a dark brown color and for the most part I've been satisfied; no cracking or chipping, I pour boiling water in it without a problem. One major issue for me is a white discoloration that looks pretty bad and I can't seem to get rid of. Tried Barkeepers Friend and even granite cleaner. Don't think I would go with a dark sink again. These sinks are Trash!! Buyer beware. They might be attractive but they are not durable. Ordered a Blanco Silgranite sink. Arrived in an undamaged box with the styrofoam inside fully intact without damage. Everything looked fine. However, 2 months later when it cam time to install in my remodel project, when I unpackaged it fully, there were hairline cracks in two corners going down into the bowl. Place where I purchased it refused to take responsibility. Called Blanco and they refused to help and would not back their product. There are many complaints online of these sinks cracking. Once cracked they are worthless as there is no adequate way to repair them. I will never buy another Blanco product again. this company does not stand behind their product. My Silgranit sink accumulated more than 20 chips in the surface in less than a year of use. I have the Diamond model in truffle colour. The chips accumulate dirt and some are large enough to appear as black spots, i.e. chips full of dirt--ugh!--and hard to clean. The company is sitting on their statement that they are not manufacturing defects and they are not liable for these things that occur during normal use over a period of time. Needless to say, I am very unimpressed with the product and the company. My advice: AVOID both! Yes, thank you. I found a retailer that had them and didn't charge me $200 more for wanting it the other way. Have you tried contacting Blanco Debbie? They should be able to point you to the nearest retailer with the sink you want. I'm looking into buying this sink, and I like the 60/40 split. 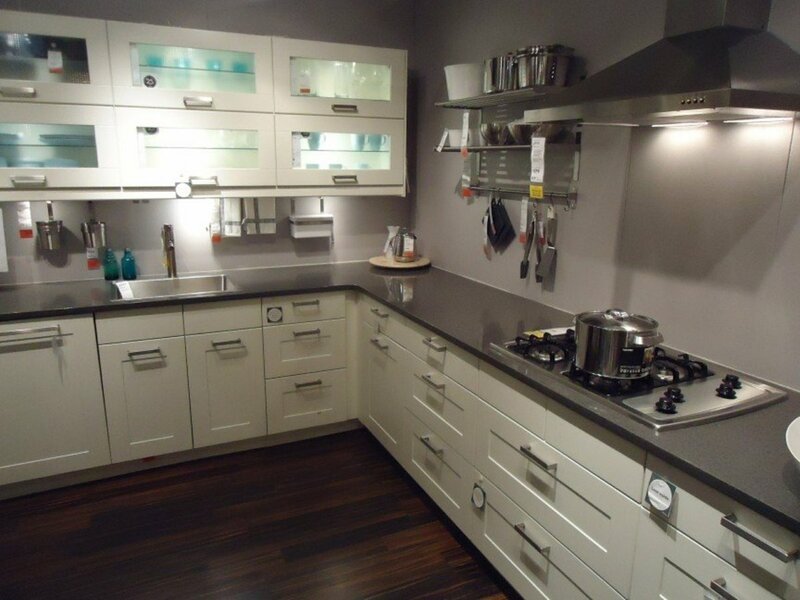 I want the tall divider, as I often do dishes by hand. I really want the larger side on the right, but can't find any. How is the sink holding up? We ordered one for our kitchen. The first three arrived cracked! Hopefully the 4th will be in one piece. Is your sink holding up well? I just had an accident with Silgranit II by Blanco. The spice bottle fell in the sink and created a hole - can't believe it!! When I approached Blanco - the lifetime manufacturer's guarantee does not exist. This is surely a cope-out on their part, breaching an agreement between a manufacturer and consumer. As far as I know Nancy, all of the Blanco sinks are of the same quality. It's just a matter of preference in terms of the style and model. That's a great question Alex. I know it's much more forgiving than porcelain, but how it compares to stainless in that regards I'm not sure. Hopefully someone who has experience with both can let us know. I want to know about the difference in this sink in regards to washing crystal. I love to use crystal but of course the crystal chips easily in porcelain sinks, less chipping of crystal in stainless steel sinks ...how does the granite sink compare. In other words if you knock a glass against the sinks' surface does the granite make it more likely to chip or less than porcelain or stainless ???? I have had mine since 2009 and stills looks perfect! I'm hard on things too. Mine is black. Wow, that is unfortunate Carole. Your sure it's the Silgranit II by Blanco and not another manufacturer? I wish I could agree with the above reviews. I have This sink for 2 1/2 years. It stains easily and the stains are difficult to remove. It has also chipped in three spots. I'd never buy or recommend this sink. After reading all the great reviews of this sink I purchased it..its to installed yet. I would like advise on getting the matching drain or disposal ring flange from Blanco. I see in pictures people have posted with stainless drains. I will have to special order the color to match. Hello Busia. According to Blanco's instructions for the Silgranit sinks, you can soak a solution of 1 part bleach to 1 part water for up to an hour in their sinks. I believe to sanitize you would only need around 5 minutes or so, but I could be mistaken. I love the beauty of the sink . However, I am worried about sanitizing the sink. I have small grandchildren, one has strep now. I use bleach daily in my sink now to sanitize. It seems there is now way to sanitize since you can not use bleach on the dark color . I do have the brown sink on order but I am thinking about changing to stainless only for sanitation purpose. Any information for me? Not all natural stone is porous - many granites are very dense and virtually nonporous (e.e., Absolute Black, Uba Tuba) and soapstone is nonporous. It's a common misconception that all "granites" and natural stones are porous. We use glass crockery - pots plates glasses etc. Does the same break easily if dumped in the granite sink??? To be clear, I believe you are talking about underneath the counter? After almost 3 years, we have yet to contact the sink from under the counter. I know that ours has a rough surface from the casting, but the thought of being cut has never crossed our mind. Hi , I have just received my blanco sink , one thing that concerns me is the front of the sink , which will be visible when the cupboard door is open , is cracked and extremely rough and I am worried about cutting my hands on it when getting something out of the cupboard . Anyone else experience this . I don't usually make comments, but I read your review about 6 months ago and finally convinced myself to buy a Blanco Silgranit sink. I have the Diamond Equal Double in biscuit. I've never had a light colored sink like this and my last one was a stainless sink. I came back to let you know that this is the best sink I've ever had! It still looks brand new and I love how quiet it is compared to my old stainless steel sink. My family is Italian and I cook with big pans. I was a bit worried about scratches and possible stains (especially with a light colored sink) from my homemade pasta sauces. I don't even think about it anymore and I love how deep it is. If I was to do it over again though, I would have opted for the undermount style. I think it makes it easier to clean the counter. Sounds like a great sink. I like things that last and don't need constant repairs, and that most of all do the job I bought them to do. Practical, useful, easy to care for, reasonably priced, and attractive. I have a black one, and have had it for 4 years- no fading scratches or anything. VERY easy to clean. I had the white residue one time and used mr clean magic eraser that worked wonderful! Great question about the color fading. The color will not fade with these sinks, but they can develop a whitish residue from hard water deposits over time that will give the illusion of fading. According to Blanco, when this happens just clean the sink real well with a non-scratch cleaner like Bar Keeper's Friend or BonAmi and then rub it down with a little mineral oil. It will bring the color right back to new. That looks an awesome sink- I've just got on the property ladder and always looking for inspiration when it comes to home items. The only worry i have is that if I go for my chosen colour of black they can actually lose colour over time- any experience of this? Thanks tillsontitan and I'm glad that your Swanstone sink still looks like new. 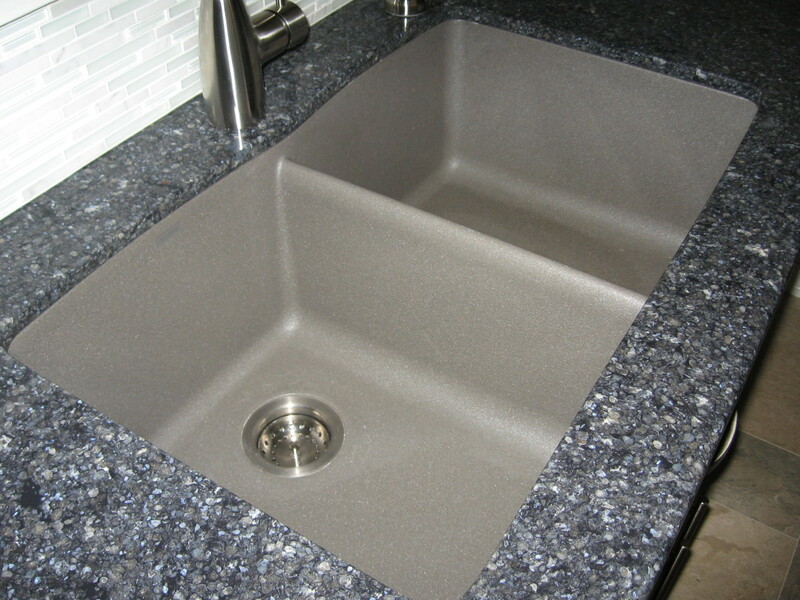 It's a testament to good quality granite composite sinks. I just wanted to share the fact that there is more to choose from in kitchen sinks than just porcelain or aluminum. This sounds like a great sink. I have a Swanstone which is similar in its strength and durability. I've had it for twenty years and it still looks like the day I bought it. I'm sure your information will lead a lot of people to at least look at this great Blanco sink and seriously consider buying one. These are real nice sinks. I think the stain video sold me. I need to talk to my husband tonight! That's how I found out about these sinks Kelmack. My brother did the same thing as you when he built his house. After hearing so much about how he liked his sink we decided to try one as well. I purchased a blanco siligranit sink for my new home in 2009. Best purchase ever! I actually bought online and it was cheaper than the amount the builder was allowing for a stainless steel. Mine is a single bowl black, very durable easy to clean does not water spot or scratch. Would not have any other kind of sink! Thanks for an introduction to the Blanco Silgranit sink. Actually, one of the benefits to this sink is how easy it is to clean. Yes, they are more pricey than a good quality heavy gauge stainless sink, but in my opinion, if you are going to be using it multiple times a day it is well worth it. Did I mention that they come in more than one color :) ? They look like clay and hard to clean, but looks may be deceiving! I'm curious about this type of material for a sink. I agree -- stainless sinks sound noisy when the water from a faucet drips onto them. I bet these are more pricey than the usual stainless sinks? But judging from your hub it sounds like it's worth it. I just wanted say that I love my new sink. I decided to finally get one after reading your review and that I'm really glad I did. The information on this page has helped me be more knowledgeable about the sunks when I went looking for them in the stores. It really looks good. Thanks. Now this is helpful for sure for those looking right now to replace their sinks. Congratulations! Your hub has been nominated on the Hubnuggets! Check this out https://hubpages.com/literature/Back-to-School-Hub... Read and vote okay? Never knew there were granite sinks. Interesting hub!